The mission of the Small Attendance Church Ministry is to strengthen pastors and the Small Attendance Church they lead. 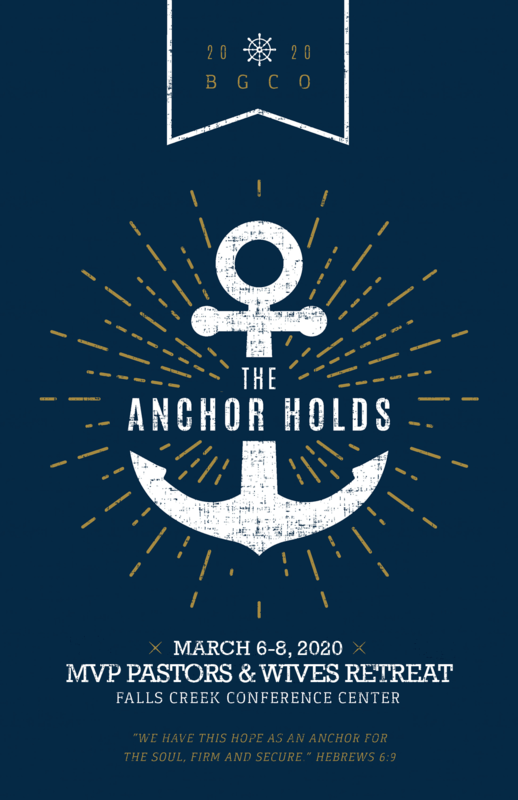 Mark your Calendars for the 2020 retreat! Registration begins in the Fall of 2019. If you are a multivocational pastor or part of a small church, you may be interested in receiving updates and conference opportunities from the BGCO MVP Ministry. Please subscribe to our list for occasional emails regarding these special opportunities and announcements. 2016 marks the launch of the SAC Ministry Advisory Council of Bi-Vocational Pastors comprised of pastors from different regions of the state! The advisory council will provide bi-vocational and SAC pastors the opportunity to not only fellowship with their peers, but to develop strategies for encouraging, equipping, and engaging other Bi-vocational and SAC pastors in the state of Oklahoma. The purpose of this total church seminar is to assist the pastor and the church’s vision team in guiding the church to develop Great Commission strategies which would lead the church to be intentionally evangelistic in their communities, missional in the world, and stronger in their commitment to the Cooperative Program. This two-day seminar will culminate with short-term and long-term action plans presented to the church membership for prayerful consideration. Once adopted by the church, the action plans will serve as a guide for the church in the coming months and years. An effective way to “breathe life” into a church and to proclaim the Gospel to the unchurched is the revival meeting. The SAC Strategist will guide the pastor and other volunteers from the church through the process of preparation for revival. This usually begins 60 days before the planned revival meeting. If the pastor desires, the SAC ministry will assist the church in enlisting a preaching evangelist and a music evangelist to come and serve the church. Each church participating is expected to make a commitment to do everything possible to make this revival a success. The Robert Haskins School of Christian Ministry is a non-degree online education program that brings affordable ministry training tailored to your ministry needs. The RHSCM teaches the minister practical ministry skills, as well as, encourages the minister’s personal spiritual formation. Classes include, but are not limited to, preaching, pastoral ministry, evangelism, prayer, and biblical spirituality. Each minister who enrolls in the school is assigned an experienced mentor/coach who understands the needs of the minister in the specific context of his ministry. The goal of the RHSCM is to ultimately equip the pastor with the skills needed to lead the church he serves to be a Great Commission church.